Well done, man. That’s just what I’ve seen through my 180mm past July. 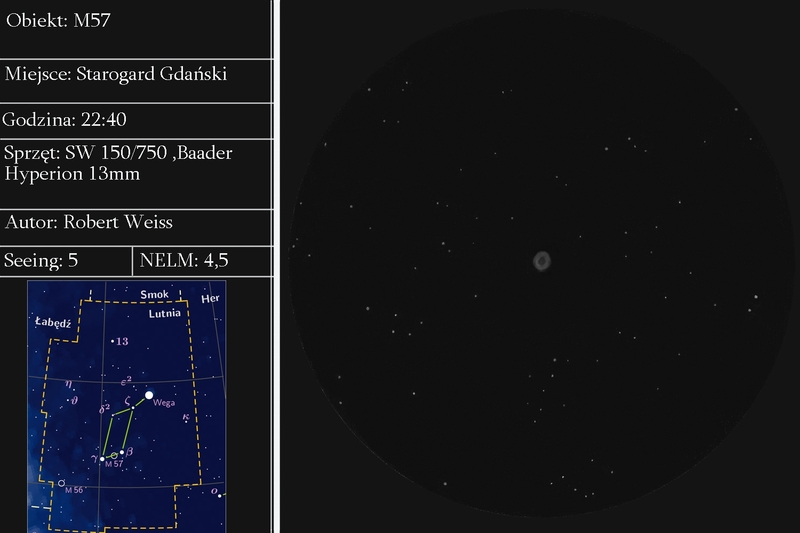 It was my first time observing M57, and it’s wonderful, isn’t it? Congratulations on the sketch, and send us more soon. A very fine capture of this fine planetary nebula.